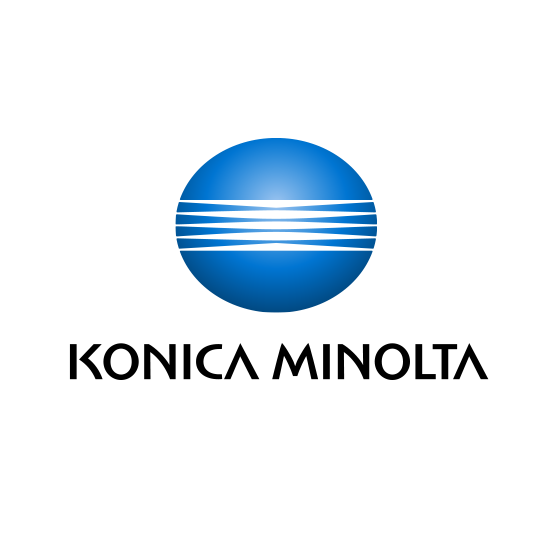 This website is operated under the supervision of Konica Minolta, Inc. (Head office: JP TOWER, 2-7-2 Marunouchi, Chiyoda-ku, Tokyo 100-7015, Japan) for the purpose of providing information about the Konica Minolta Group ("Konica Minolta") throughout the world. By accessing this website, visitors indicate their agreement to be bound by the laws of Japan and the ordinances of Tokyo regarding the use of this website, regardless of any differences in the legal principles applying to Konica Minolta and the persons accessing this website. The information published on this website may contain technical inaccuracies or typographical errors. The information is subject to change or updating without notice. Konica Minolta may improve or modify the products and services introduced on this Web site without notice. Konica Minolta does not want to receive confidential or proprietary information from you through this website. Konica Minolta carries out original research and development in a wide range of fields. The possibility exists that an unannounced idea conceived originally by Konica Minolta might be seen to resemble a suggestion sent by you. In order to avoid any misunderstandings or disputes arising from such an eventuality, Konica Minolta has a policy of refusing to accept any ideas, memos, drawings, concepts or other proposals that you might make regarding new products, technologies, designs, manufacturing methods, advertising, promotion or marketing, etc. If in spite of this policy such a proposal is received, any and all such proposals will be returned without consideration or evaluation. Moreover, any information and materials sent by you will be deemed to be non-confidential. The user assumes all responsibility and risk for the use of this website. Under no circumstances shall the Company be liable for any damage that results from the information, or the use of the information, obtained from this website and/or from any other websites that are linked to this website. All text, photographs, images, graphics, animation, music, sounds, and other materials on this website are subject to the copyrights and other intellectual property rights of Konica Minolta, its affiliated companies, and its licensors. Konica Minolta owns the copyrights in the selection, coordination, and arrangement of the materials on this website. These materials may not be copied for commercial use or distribution, nor may these materials be modified or reposted to other sites. Duplication, public transmission, modification, deletion, or reproduction on your website of content from this website without the authorization of the copyright holder, whether Konica Minolta, its affiliated companies, and its licensors is prohibited under copyright law, except for printing or storage for personal use, or other specific use permitted under copyright law. You are therefore requested to contact Konica Minolta to obtain permission before making use of content appearing on the site. Note that permission to use such content may be refused if it contains portraits that are protected under law, copyrighted material or trademarks belonging to third parties, etc., or if the intended usage is deemed inappropriate by Konica Minolta. If use is made of content with the permission of Konica Minolta, you are requested to display the copyright notice specified by Konica Minolta. Modification or deletion of the copyright notice without prior notice to Konica Minolta is prohibited. When opening PDF in Mozilla Firefox, you may encounter problems on displaying or printing. Start Firefox and go [Options]> [Applications]> [Portable Document Format (PDF)] and set Action to [Use Adobe Reader (default)] or [Use Adobe Acrobat (in Firefox)]. Konica Minolta website uses the following plug-ins and applications. It is recommended that you download the latest version from each website. However, the use of those technologies is refrained from the function to track down or identify individuals. Konica Minolta adopts the Universal Design concept in our Websites so they can be accessed and used by more users easily and comfortably. Konica Minolta’s aims are to be a “a robust company that is capable of strong growth” and “a company that is vital to society.” Therefore, ensuring accessibility to our Websites as well as our products by all people is essential for attaining these goals. Konica Minolta does all in its power to manage and protect your personal information. Normally you will not need to provide your name or any other information about yourself to access this website. At the same time, this website is operated for the purpose of providing information about Konica Minolta, and there may be cases where you will be requested to voluntarily give personal information such as your name and address, in answering surveys or in requesting answers to queries, registering for periodic mailings, or having printed materials shipped to you. In such cases, you might be asked to give such personal information as your name, e-mail address, telephone number and street address. There may also be cases where a minimum of additional information will be requested for particular purposes. Except for the minimum necessary information, all such information is optional; you are free to provide it or not. In no case will the information you provide be altered without your permission. Note that there may be cases where the information you provide is notified to a third party, but only to the extent necessary. For example, if we are asked to ship materials to your address, it will be necessary to notify your name and address to the shipping agent. If a person registering information with this website requests disclosure of his or her own personal information, this will be done only to the registering party and only after confirming the identity of the requesting party. In offering certain kinds of services on this website, the possibility may arise where you will be asked to provide more confidential information such as that for electronic money or credit card transactions. In such cases encryption of the transmitted information and other steps will be taken to ensure the security of the information. The policies outlined above may be subject to change in the future, in which case all such changes will be notified on this website.